From a physiological standpoint, the negative effects of alcohol are numerous. Alcohol damages the liver - Alcohol is a hepatoxin, which damages the liver. The liver is the most important organ for maintaining healthy skin. Specifically, alcohol is a toxin to the cells whose sole function is to detoxify the entire body. The liver also regulates several hormones and helps maintain steady blood sugar levels. The liver plays a vital role in the body's use of hormones, both those that are produced naturally in our bodies as well as those hormones that are "introduced" via hormone therapies. It acts as a hormone processor, manufacturing and/or regulating some hormone levels, and directing various hormones to perform their proper function in other parts of the body. Over time, the liver function becomes less efficient due to “fatty liver syndrome”, which is a direct result of prolonged or excessive alcohol use. (Fatty liver is also related to obesity and some drugs). “Fatty liver” is unable to “manage” or process the hormones as quickly or efficiently, causing a hormone imbalance, and a number of other negative effects. Hormonal imbalance is the main cause of acne as it may overstimulate sebaceous glands that produce skin oil (sebum). This excess oil is the primary material that clogs the pores and initiates the acne cascade. Alcohol dehydrates the skin - Alcohol lowers the water content in your body, which hinders your body’s ability to remove and flush out inflammatory toxins. Your body is unable to cleanse itself as effectively and this can lead to acne. Alcohol changes hormone levels - Alcohol stimulates the production of testosterone and may therefore create or amplify a hormonal imbalance. This, in turn, may over-stimulate the sebaceous gland which is a direct cause of acne. If you already suffer from acne, this will make it worse. Heavy drinking will wreak havoc on your body and create even more damage than the occasional cocktail. When you drink heavily, more than 2 or 3 drinks within a 4-6 hour period, your body tries to convert the carbs found in alcohol, leading to a spike in your blood sugar levels. If you are drinking faster than your body can convert the carbs, your body is unable to keep up and this will lead to excessive sugar levels. A high-sugar diet damages collagen and also affects the type of collagen that is present in your body. The most abundant collagens in the skin are types I, II and III, with type III being the most stable and long-lasting. Glycation, the process where sugar bonds with proteins to form advanced glycation end products or AGEs, transforms type III collagen into type I, which is more fragile. Collagen is the main building material for your skin and is not only indispensable to prevent premature aging, but for people with acne, its deficiency will affect the healing of acne scars and marks. It’s important to note that alcoholic beverages contain very high amounts of added sugar and while these make the beverages taste good, they can cause serious damage to your body and skin. Alcohol depresses the immune system - Your immune system keeps bacteria under control and a weakened immune system will allow bacteria to build up in your skin pores, resulting in more inflammation and acne breakouts. Clear shots: Vodka, Gin, and Tequila are better for your skin’s health if it is served as a shot as it doesn’t contain heavy amounts of sugar and other chemical ingredients. You can have these over ice or even mixed with water. Also avoid flavored vodkas which contain added sugar too. Dark Shots: Rum, Whiskey, and Tequila don’t contain additives but they do have more congeners, which contribute to hangovers. Beer: Contains antioxidants and other benefits. The downside is that it contains salt and some other ingredients that stimulate urination which adds to dehydration. Beer also contains a lot of carbs and sugar. Beer contains less alcohol than straight drinks so when consumed in moderation, it lowers the chances of poor choices being made. Red Wine: Contains more antioxidants than white wine. This is the best drink if you are going to drink and minimize the effects of alcohol on skin health and aging. However, if you have rosacea, avoid red wine as there is a high risk of it causing a flair-up. Skip dessert! This will reduce your sugar levels. Supplement a dessert with a very “watery” fruit like watermelon. Drink plenty of water together with or immediately after drinking alcohol. Pace yourself. By drinking slower, you will drink less. Follow your daily skincare regimen: If you choose to drink alcohol, be sure to follow your daily skin care regimen and your AcnEase® dose. While alcohol may lower the efficacy of AcnEase®, it’s not counter-indicated which means there is no adverse reaction between alcohol and AcnEase®. If you should miss your dose, continue with your recommended dose the following day. Drink a lot of water: Drink more than 8 glasses a day when drinking alcohol! Effects of high stress levels: People often drink to relieve stress. The stress could be causing acne because stress affects your hormone levels, which could have a negative impact on your skin. Touching your face: Avoid touching your face and irritating your skin. This is common knowledge and simple to avoid when you’re not drinking but can quickly become an afterthought if you are under the influence of alcohol. Note to those who suffer from Rosacea: This skin disease affects more than 50 million people worldwide. Parts of the skin that are affected by rosacea are sensitive to certain stimulants that cause their capillaries to open. One of these stimulants is alcohol and should be avoided. As previously mentioned, red wine is the worst option for rosacea-sufferers. Taking action from within your body is the best and only way to end the acne cycle. AcnEase® is the first step in obtaining acne-free skin, enabling you to end the recurring cycle of acne and enjoy life! It limits your body’s response to hormones in the blood and keeps your production of skin oils at a healthy level that is beneficial for your skin. Our botanical ingredient based acne treatment can be used by anyone and is free of sugar, gluten, nuts and milk derivatives, chemicals, GMO’s and phytoestrogens. Most of you are already taking AcnEase®, and have worked hard for your achievements. Just remember, AcnEase® is working hard too. Most of the work is under the surface and may not yet be fully visible, but with patience and your continued dedication to using the product as intended, you will be rewarded with clear skin. AcnEase® is not intended to be taken with alcohol even though it does not have any counter-indication against such use. 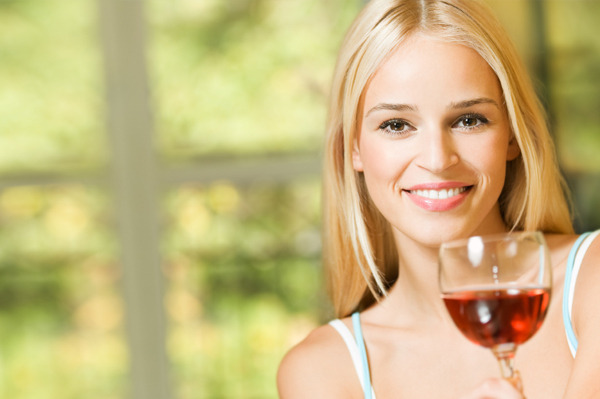 The occasional glass of wine or beer will not make a dramatic impact on your skin in your fight against acne. Keep in mind, we are partners in this endeavor and we hope that you make healthy choices for you and your skin. Let us know in the comments below how AcnEase® is working for you.